Our hot yoga classes take place in a specially designed room maintained at a temperature of 104 degrees with 40 percent humidity. The perfect combination of infrared heat and humidity helps you sweat and get deeper into each pose. Hot yoga is ideal for all levels, beginner to advanced. The benefits of hot yoga include: increased flexibility, muscle toning, weight loss, stress relief, detox, increased energy and an overall feeling of well-being. 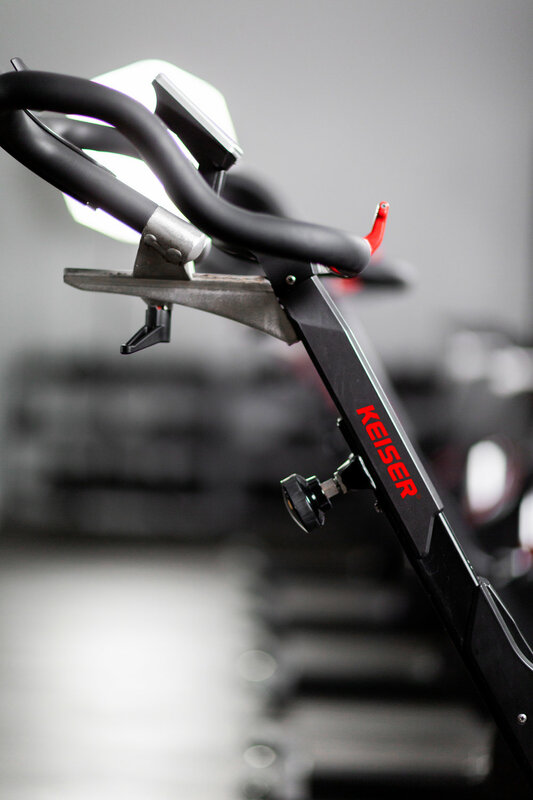 c y c l i n g .
Indoor cycling is an intense cardiovascular, low-impact workout ideal for those looking to burn major calories and build muscle. These high energy classes push you through climbs, sprints and jumps, while maximizing motivation through music. Cycling is customizable for any fitness level as each individual can choose their own resistance and speed. Rowing provides a transformative total-body workout that challenges the body and focuses the mind. Enjoy the sounds of the waves as you burn major calories and strengthen and sculpt your muscles. Let the music motivate you and your classmates encourage you in this unique, team-oriented class. No experience necessary. Balance. Wonder. Simplicity. Laughter. Peace. Thoughtfulness. Resilience. Connection. f a c i l i t i e s .
Sol Vibe is an all new fitness studio located in Rapid City, South Dakota featuring hot yoga, cycling, and rowing. It offers a full-range of group fitness classes designed to challenge and motivate you. Find a pricing option that's right for you.